Here's how to get savvy with Clip Studio Paint. Clip Studio Paint is a digital painting app that has been steadily gaining momentum and popularity over the past couple of years. In this round-up, we'll share some of the best Clip Studio Paint tutorials, and where you can find them. We'll kick off the list with some general, all-around Clip Studio Paint tutorials to help you get set up and show you how to draw using the tool. Then once you have a solid foundation, we'll move on to some more specific tutorials so you can hone your skills. This software is specifically aimed at people creating comics or manga art – although it's great for any kind of digital art. Hopefully we'll see a lot more tutorials as people realise how powerful this digital art software really is, and what can be done with it. Reuben Lara is a freelance artist and illustrator, offering mainly Clip Studio Paint tutorials. He offers both paid and free tutorials for beginner-to-advanced artists and Clip Studio Paint users. Lara speaks clearly, his tutorials are easy to follow, and they're jam-packed with lots of useful information. This one walks through the basics you need to know to get started with this digital art software. You can find out more about Lara on his website, and you can watch more of his free videos on his YouTube channel. Brian Allen at Flyland Designs offers some of the best Clip Studio Paint tutorials around. In the video above, he explains how to draw in CSP – there are follow-up tutorials explaining how to ink your artwork and how to colour your artwork. He also shares his tips and techniques along the way, as well as his Clip Studio Resources, like brushes, tools, and templates. In this 20-minute video tutorial, Reuben Lara walks through his Clip Studio Paint setup. The interface is highly customisable, so it's worth taking the time to adjust it to suit your particular workflow. In this video, you can see how Lara has set up his workspace and shortcuts to mimic Photoshop. Kendrys Diaz, the voice behind Kendrys Draws, offers laser-focused Clip Studio tutorials covering a broad range of topics. Many of his videos show you how to use the 3D tools available in Clip Studio; he also has a heavy focus on manga art. Diaz's presentation style is a bit gruffer and more abrupt than other tutorials on this list, but don't let that put you off – the content is spot on. Note: Diaz has also published a Character design sketchbook that might be worth a look. David Arroyo is the creator of the web comic IMMERSION. He's created a series of Clip Studio Paint tutorials, hosted by Astropad, in which he takes you through how to use the tool start to finish – this video walks through the setup, and there are more tutorials to take you through each separate stage of the process. Arroyo's calm speaking voice and clear instructions make his tutorials bookmark-worthy. In the tutorial above Arroyo works with CSP on an iPad Pro, so it's also handy to see how that tool can slot into a digital artist's workflow. In this inking tutorial, Chris Martinez covers the inking tools available to you in Clip Studio Paint, and how he uses them when he's inking his drawings. Although Martinez talks about pens he hasn't used, he's honest about it and encourages people to try new things. The only thing we're not wild about is the background music. If you can get past that, this tutorial is one to watch. This is a webinar hosted by illustrator Brian Allen, focusing on the benefits of Clip Studio Paint over rival Photoshop. In it, Allen runs through a whole load of tricks to help you get the most from the programme. This webinar lasts an hour, but there's plenty to learn – skip to 3.30 to miss the introduction and get straight to the good stuff. If you're going to tell stories in your comic designs, you're going to need to add word balloons and thought bubbles. In this Comics With Chris tutorial, you'll find out exactly how to do that. Another great inking tutorial comes from Tim Michael at Draw2Much. In this Clip Studio Paint tutorial, Michael shows you the ins and outs of using the G-pen. Although Michael's walkthrough style isn't the typical one you might expect, this video gives you an insight into how he inks his drawings, and is worthy of a watch. OK World of Warcraft fans, this one's for you! In this tutorial, Robert Marzullo teaches you how to digitally paint Orgrim Doomhammer using Clip Studio Paint. If you like this tutorial, Marzullo has a tutorial, available on Udemy, where he teaches how to work in perspective in Clip Studio Paint. More of a quick tip than a long-form tutorial, Matt Chee takes you through the process of using reference layers for colouring. But don't stop with that one. 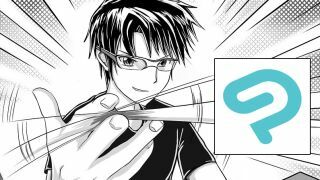 Chee has a large collection of tips and tricks to help you work smarter in Clip Studio Paint. Check 'em out. Full disclaimer: I'm an official Smith Micro Influencer, and this is one of my own Clip Studio Paint tutorials. In this written tutorial, I show you how to create and use your own custom brushes in Clip Studio Paint. If video is more your style, this tutorial is also available at DayOfTheIndie.com in video format. This five-minute video tutorial from Kendrys Draws explores some of the updates in CSP version 1.8.4. In it, you'll learn how to colour your drawings with the new Colorize tools (which gives a cool, blended, multi-tonal look), and how to adjust and remove tones within your artwork. This in-depth video tutorial shows you how to create flipbook-style animations in Clip Studio Paint, including how to set up your file and add and remove frames, how to edit your animation, and how to export the final thing as a QuickTime movie or animated GIF.